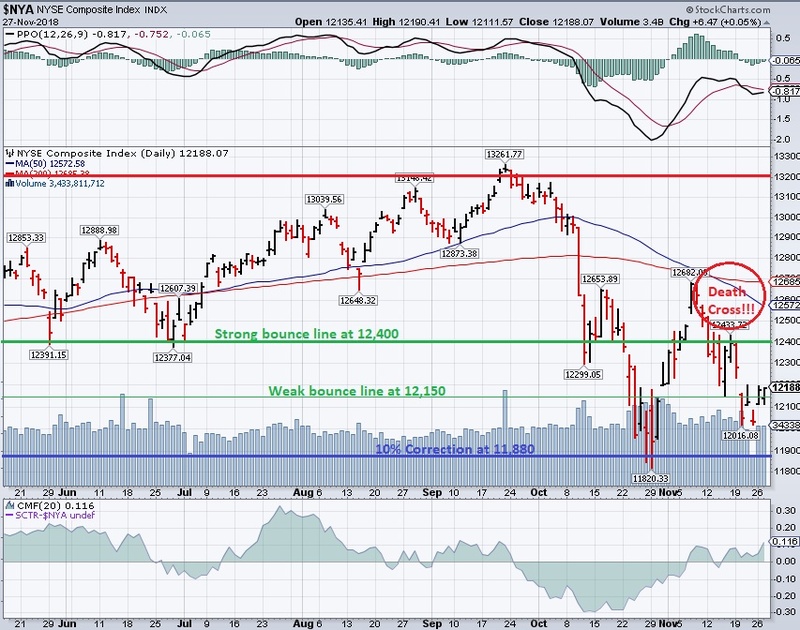 Well, we flipped the NYSE's weak bounce line green at 12,150. 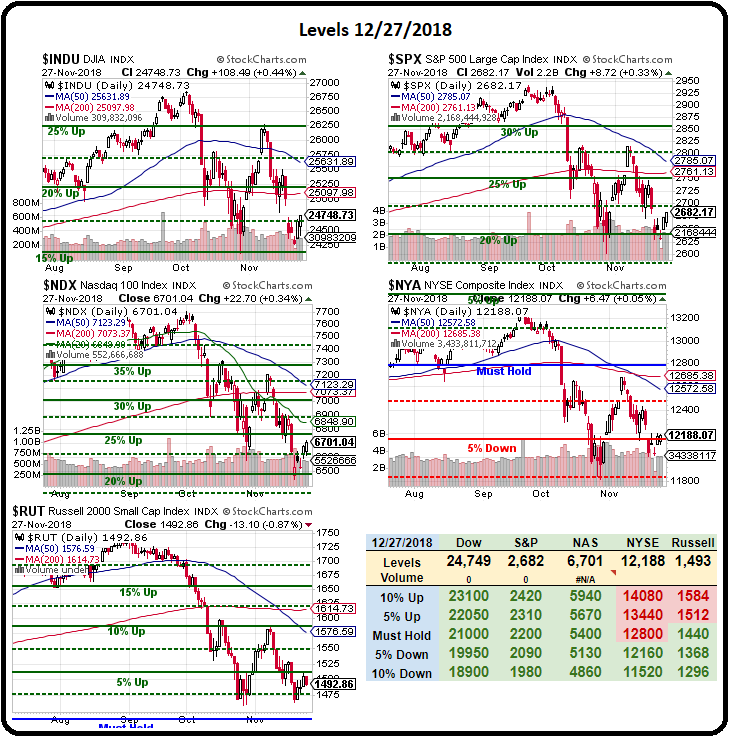 We also hit the weak bounce line (24,800) on the Dow (/YM) futures so all is well(ish) at the moment as the Trump administration made nice noises on trade yesterday – essentially negating Trump's morning tirade and that gave us the pop that we needed to get back over the hump so now we are waiting to see if either the S&P (/ES) can take back their weak bounce at 2,710, Nasdaq (/NQ) 7,080 or the Russell (/RTY) 1,530 and, if any of them do – then we can go long on the laggard with tight stops if those weak bounce lines fail again. Unfortunately, as you can see from the NYSE chart, recent weakness has already caused a "death cross" to occur as the 50-day moving average fell below the 200-day moving average and we really won't be out of the woods again until that reverses and that will take a couple of months above the 200 dma so, until we cross back over those lines – this market will still have a tendency to trend lower well into Q1 of 2019. And it's not just the NYSE, the Russell has already crossed and the Nasdaq will cross early next week and the S&P will cross within two weeks and the Dow MIGHT avoid a death cross, but only if it gets back over 25,000 and stays there. This morning, the /YM Futures are at 24,900 with a 160-point gain on the Dow overnight so it could possibly happen and the best bullish Futures bet at the moment is going to be going long on the Russell (/RTY) above the 1,500 line which will be confirmed by Nasdaq (/NQ) 6,750 and S&P (/ES) 2,700 so as long as all 4 of the indexes are over those lines, you can stay bullish on /RTY.